If you vape, you’re probably used to some pretty strange e-cig questions, be it from people who know nothing about e-cigarettes as well as from those who are interested in switching. Here are a few of them, and the most suitable answers to go along with them! 1. 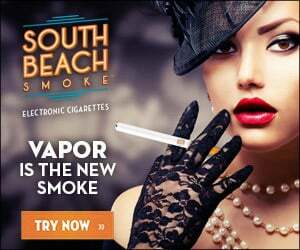 Why should I switch from traditional cigarettes to electronic cigarettes? 2. Is there an age requirement when purchasing e-cigs? Yes, it follows the same legal requirement traditional cigarettes do in your jurisdiction; it’s a minimum of 18 years old in most places in the US, 19 in others. 3. Are e-cigarettes really healthier than tobacco cigarettes? Let’s get technical, shall we? We are in no position to say they are healthier, but we will say that they are entirely different than tobacco cigs. They contain none of the tobacco or (thousands) of added chemicals, and e-liquids are comprised of less than five ingredients. 4. Are e-cigarettes really cheaper than traditional? Yes, generally. You do not need to constantly purchase cigarettes, and you do not need to purchase your basic gear very often. E-liquids and refill cartridges are considerably less costly, even for those who use them regularly. Another aspect to consider in cost – e-cigs are not taxed like traditional cigarettes, so (at least for now) when you purchase them, you are not paying a huge portion in taxes, and the biggest expense is what it costs to get started. 5. So what’s really in that vapor that gets exhaled? It’s water vapor, not smoke. E-liquid contains very few ingredients, and it’s basically nicotine-infused water vapor, hence the reason it’s often used in public without causing an uproar, or an inconvenience to others. 6. Are electronic cigarettes safer than traditional cigarettes? In a variety of terms, yes. They are electronic, so you never have to be worried about the concerns that come with using fire. 7. Am I free to use e-cigs anywhere I want? They are often able to be used in many public places, and it really does depend on the establishment, however there are some limitations. If you aren’t sure, it’s always smart to ask management. If it’s a general public area and it seems fine for smokers to be smoking, it should certainly be fine for you to vape. 8. What battery style is better? Manual or Automatic? It’s a personal preference. Do you want more control over the function? Go with the Manual. Do you want a larger amount of vapor? Go with Manual. Do you want a battery that lasts longer through each charge? Go with Automatic. Do you want a battery that starts up automatically when you puff? Automatic is for you. 9. How do you know when to recharge the battery? There are a few indicators, depending on the battery. Many devices are equipped with indicator lights, so those let you know automatically. If the flavor starts tasting odd, or the vapor seems to be dwindling, chances are the battery needs to be recharged. Simply, regardless of which model you vape with, you’ll know when it’s time to get powered up! 10. Where do I purchase a good e-cigarette from? www.SouthBeachSmoke.com!!! We’ve got the best products, best variety, best selection, and the best prices on e-cigarettes and advanced vaporizers! If you want an even easier way to try vaping, we have Express e-cigarette starter kits, which give you the same products, in a minimal setup, with the least amount of commitment to start!